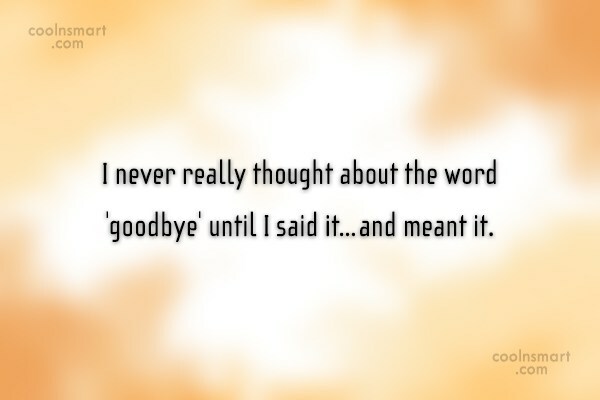 I never really thought about the word ‘goodbye’ until I said it…and meant it. All you can give is your heart and if thats not good enough for him then he doesnt desive you. Every love that comes into your life teaches you a lesson. How to love better, how to give more of yourself, how to understand someone even more, how to put others before yourself. 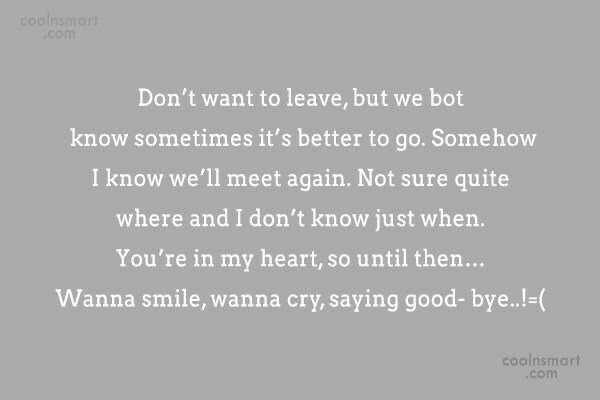 But the one thing that we never seem to learn is how to make the pain go away when the one we love says good- bye. and sometimes we forget to learn the lessons from before. 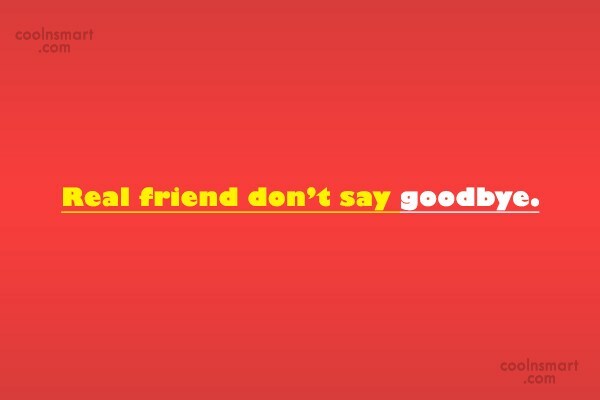 Real friend don’t say goodbye. 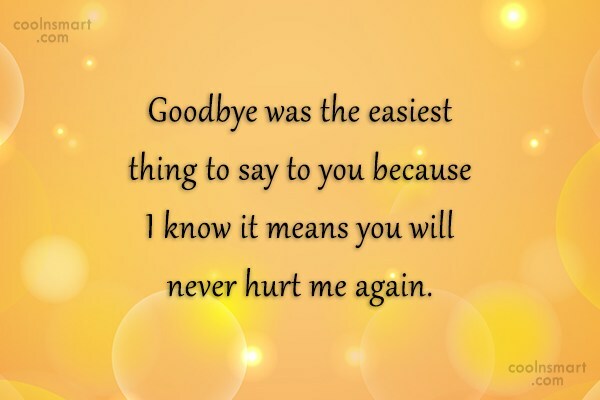 Goodbye was the easiest thing to say to you because I know it means you will never hurt me again. Sometimes you just have to smile, pretend everything is ok, hold back the tears and just walk away. It’s weird how people go from being strangers to being friends, to being more than friends, to being practically strangers again… And it all happens so fast. 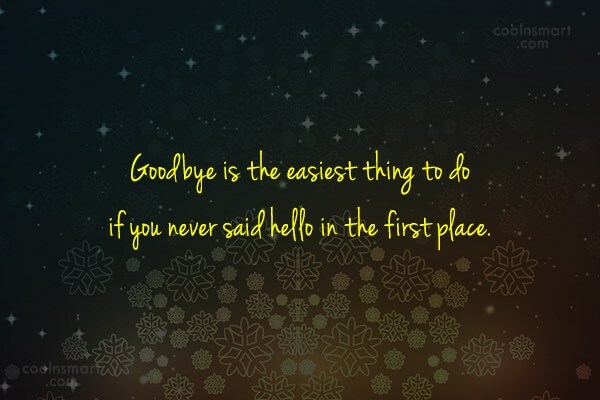 Goodbye is the easiest thing to do if you never said hello in the first place. 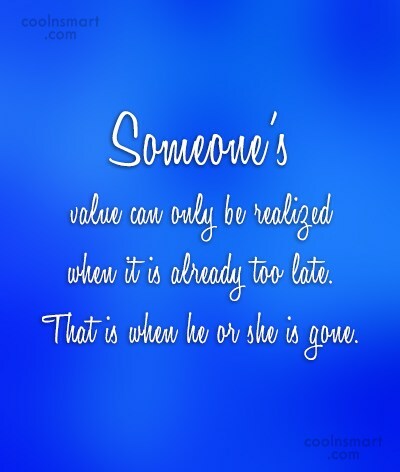 Someone’s value can only be realized when it is already too late. 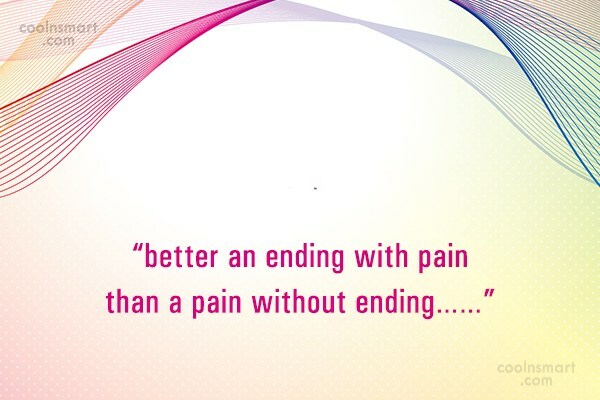 That is when he or she is gone. Staying far away from you hurts as much as having you here with me. Because I know that either way, I’ll never really get to be with you. 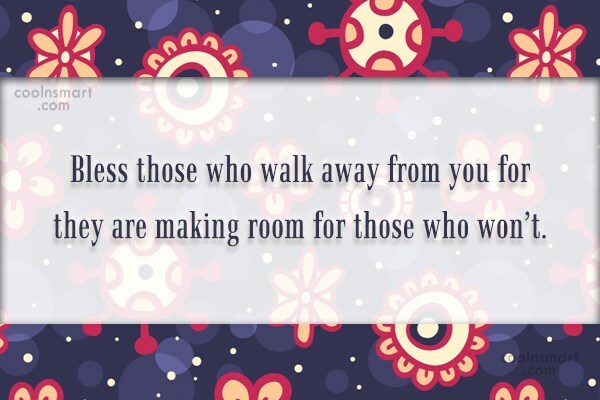 Bless those who walk away from you for they are making room for those who won’t. 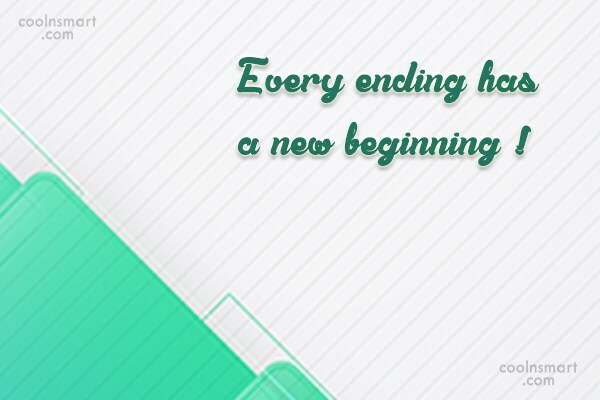 Every ending has a new beginning ! 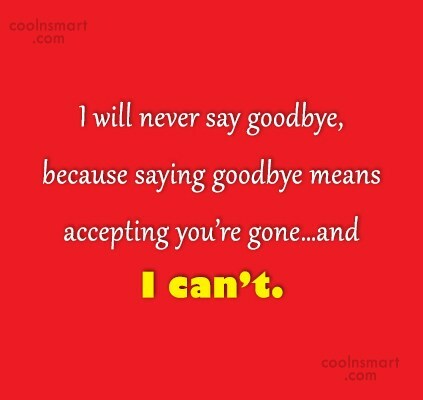 I will never say goodbye, because saying goodbye means accepting you’re gone…and I can’t. Say goodbye, walk away, don’t look back so it won’t hurt as bad. If you are in love he tells you goodbye yes it hurts and yes you want to die… Its gonna hurt so bad but if you think about all the memories you remember what you had and yes it kills you and if he tells you to your face not in a text not on the phone to your face yes its true he never wants to see you AGAIN but if he doesn’t then he still has feelings for you and it would hurt him too bad if he could never hear your voice again!! 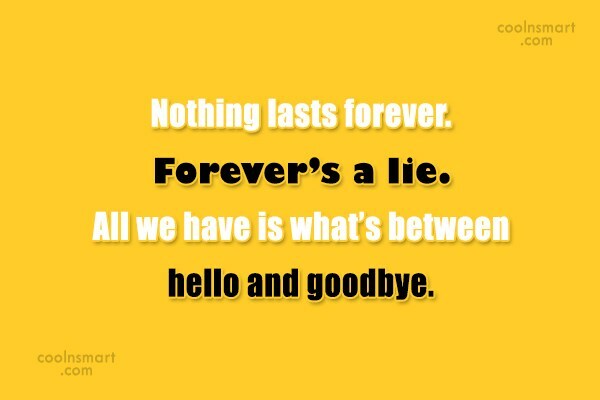 Never say goodbye cause you will never know when your going to Lose them.. If I fall asleep texting you, its because I didn’t want to say goodbye. 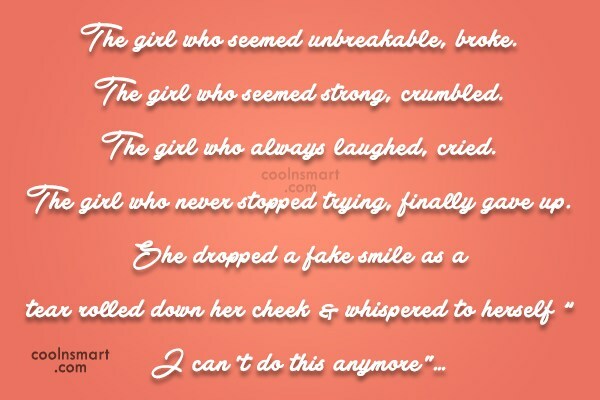 The girl who seemed strong, crumbled. The girl who always laughed, cried. Its not that you say good- bye that hurts its the fact that you have to watch them walk away.